There is nothing quite like the sight of an English woodland full of Bluebells. Deciduous trees with fresh lime green leaves unfurling with a carpet of deep blue flowers so beautiful it takes your breath away. There’s patches of sunshine with ferns unfurling and dappled shade with mossy fallen trees. Bluebell woods are usually full of wildlife making the most of the early supply of nectar and pollen. Look closely and you’ll see bees and butterflies and wild birds taking advantage of the glut of insect life to feed their young. I was lucky enough to visit Bluebell Cottage gardens yesterday where the Bluebell Wood is in full bloom right now. If you know of woodland in your location where there are Bluebells then the end of April and beginning of May is usually the best time to see them in full flower. Times vary slightly from year to year depending on the weather conditions. It’s been mild here again this month. Over the years I’ve got used to first frosts beginning during the first week of October. Temperatures have cooled a little it’s true but for some reason the cold snap hasn’t arrived. Indoors I’ve changed our lightweight summer bedding for toasty winter quilts but outdoors I’ve left my collection of tender scented geraniums on the deck where they are thriving. I will move them into the greenhouse at the first sign of frost but there’s no sign of it so far. A row of the most beautiful creamy white Hydrangeas greeted me at a plant nursery the other day. Hydrangea panicuata ‘Silver Dollar’ is widely available… but these plants made such a good show because they were all lovely large specimens. It makes a change to see such big healthy plants in full bloom. 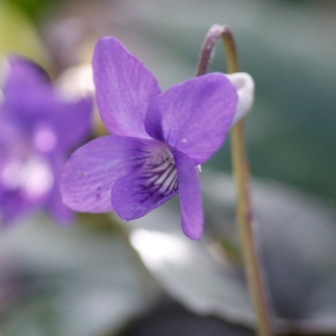 They flower from August until mid- autumn and the as they age the petals develop a pink tinge. They will grow to around 1.2m/4 feet tall. I plant Nasturtiums every year. I love the bright flowers and their distinctive smell – a spicy sort of peppery scent. Their leaves are attractive too. Nasturtiums sprawl and climb and are brilliant for ground cover and filling gaps. Some people loathe them I know that. So here we are again. It’s December. It’s cold. We’re putting our winter woolies on at last. The garden has changed in the past few weeks. There are plenty of leaves to collect and the oak trees are still decorated with golden leaves so I’ll probably be raking up leaves all December too. On a dull June day Foxgloves light up shady corners in the garden. Given the right conditions they are a doddle to grow and what’s more bees and other insects love them. So what are the right conditions? I love growing plants in pots. We have a collection built up over the years with containers for outdoors in all shapes and sizes. Many of them are terracotta. They age beautifully and fit in with the mellow tones in a country garden very well. 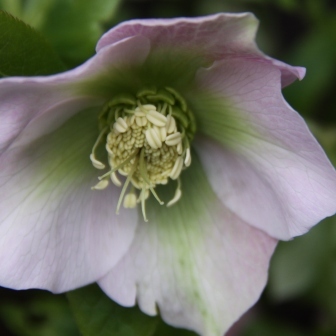 On a dull February day the flowers of the Hellebore hybrids add colour and life to many a country garden. 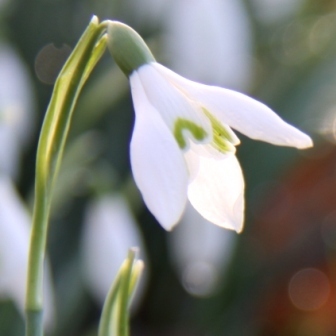 They are the perfect companion plants for Snowdrops as they both enjoy the same conditions in a woodland setting or in a shady border situation. 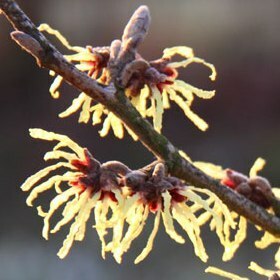 The Witch Hazel is one of our most beautiful winter flowering shrubs. Originating from China the spidery flowers open in even the worst of British winters filling the air with spicy fragrance. The first snowdrops flower in my garden in early January. It’s officially mid winter but to me the great white rafts of tiny snowdrops announce that winter is on the way out and spring is just around the corner. Snowdrops are a welcome sight during dull grey winter days.